A whale has been carved up in Japan to mark the beginning of the whaling season in the country, as a crowd of school children and local residents looked on and later ate the animal’s fried meat for free. 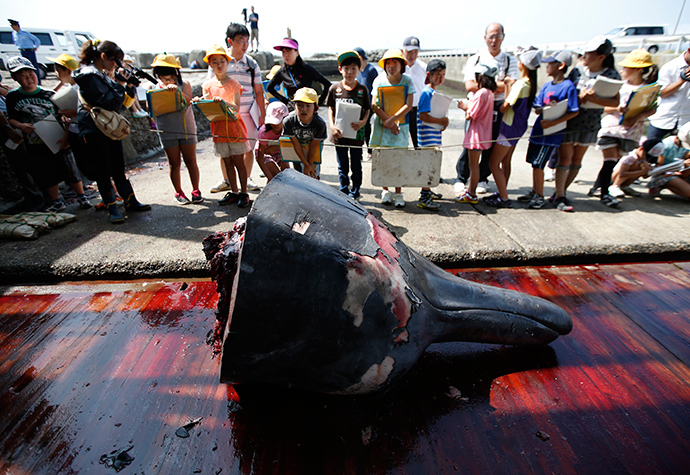 The annual event happened in the coastal town of Minamiboso, about 100 kilometers to the south of the capital Tokyo, after a week of whale hunting. Workers used ropes and a pulley to drag the nine-meter whale – killed the previous night - up a concrete ramp, while onlookers murmured and gasped at the sight, Reuters reported. "This part is the fat. If you're scared, close your eyes," said Yoshinori Shoji, president of the Gaibo Hogei whaling company, as one of the employees cut at the skin and fat of the animal, demonstrating the meat and bowels. In March, the International Court of Justice (ICJ) ordered a halt to the so-called "scientific whaling" program in the Antarctic. 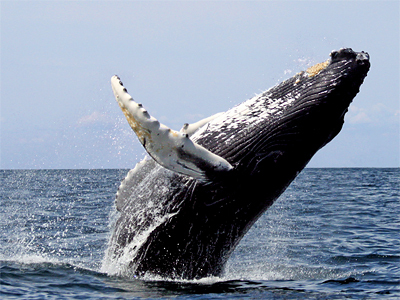 Despite the ban and international condemnation, Japan considers whaling its essential food heritage. In the town of Wada especially, whale is a specialty: there are souvenir shops, restaurants, and supermarkets devoted to the beast. 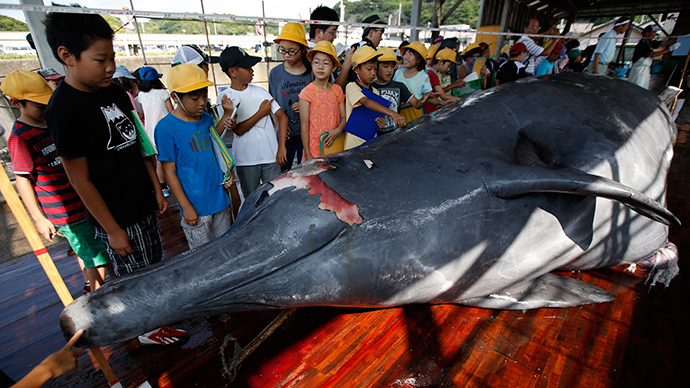 Whale meat is eaten at home and for school lunches. "Here in Wada we eat whale. Every family eats whale at least once during the summer whaling season. If we are eating whales, we have the responsibility to see and learn how they're prepared," Michiyo Masuda, a school teacher, told Reuters. The kids learn the biology of whales at school and how to cook whale meat. Whaling companies’ owners also want to continue the tradition. 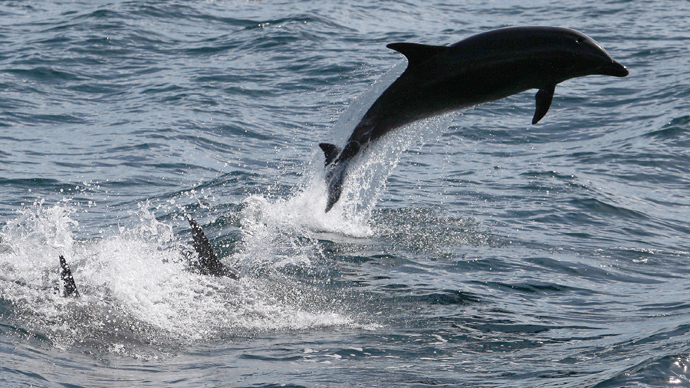 "For us, whale is food. Whaling is a good tradition, and I want to pass on the trade before I die," said Shoji, whose firm processes and sells whale. 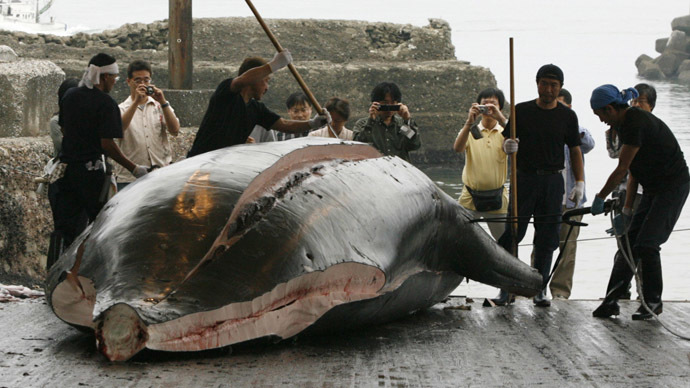 One company kills dozens of whales a season. 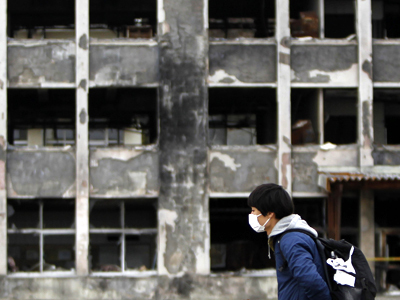 Shoji said they had already caught six animals, and are planning to kill 14 more by the end of the summer.